AZI's Center held an Open House reception at on August 28th. Wine and pizza were served. Sweets were donated by Yanni's pastry shop. Thank you to all who attended! From the left: Mrs Anastasia Voulgaridi, Litsa Passari, Mrs Lily Clevede, Jackie, Mr Lawrence Bianco, and a friend. Anastasia and Lily are our most active volunteers in Aegiali. Larry and his friend Jackie are supporters from New York who came to Amorgos for a visit in August. 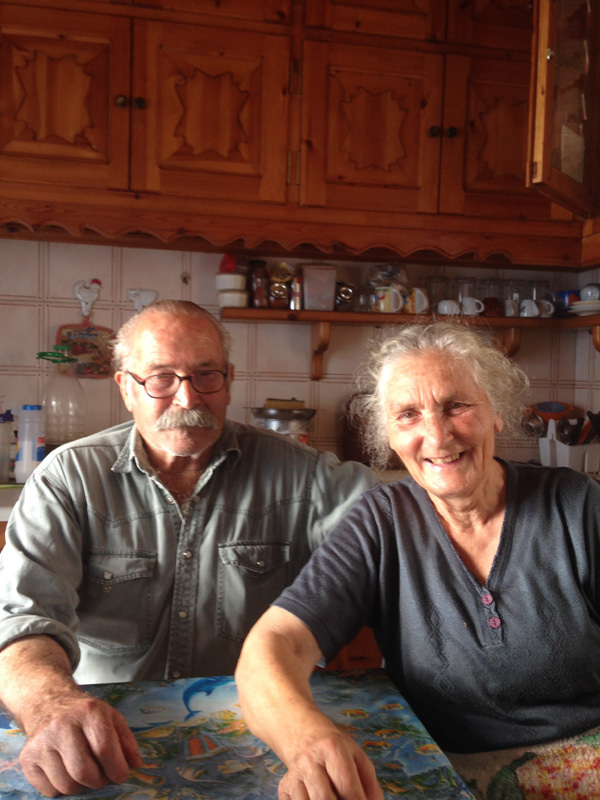 Mrs Irene Giannakou and her husband Mr Simos Giannakos are the owners of the building where AZI's center is located in Pera Rachidi. They live in Chora of Amorgos. They also feed some cats in the area. 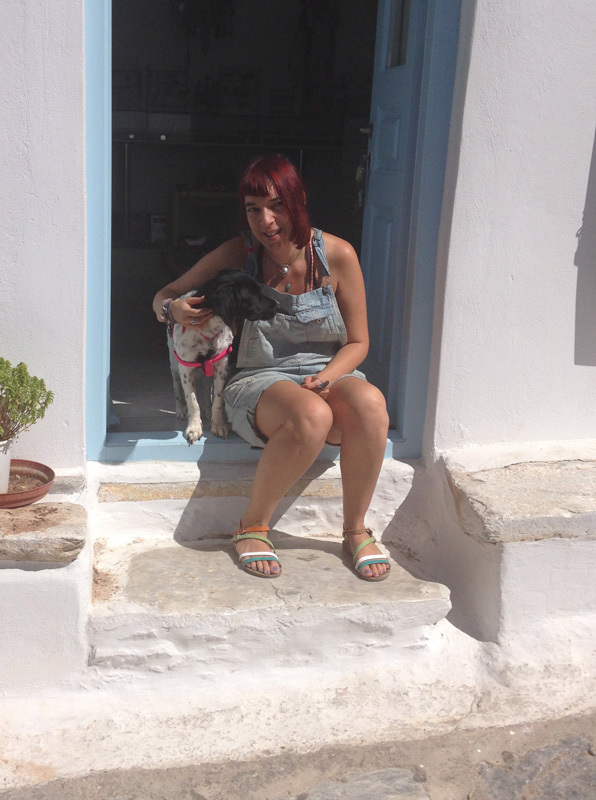 Our former rescue dog Sara with her new owner Angeliki Courti at her jewelry shop in Chora. Sara and Angeliki are always together. You can find them at her shop, on the beach, even at a bar getting a drink! 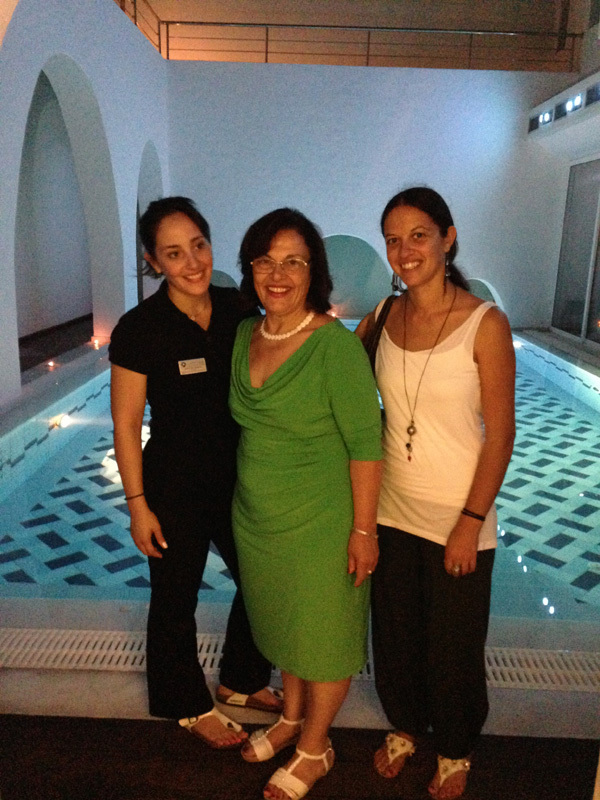 Litsa (AZI coordinator, right) with Ms Kaliovi Giannakopoulou and her mother Mr Irene Giannakopoulou and in their spa in Aegiali. Theirs is the largest and most luxurious hotel in Amorgos. We are so pleased that they are supporters of AZI. 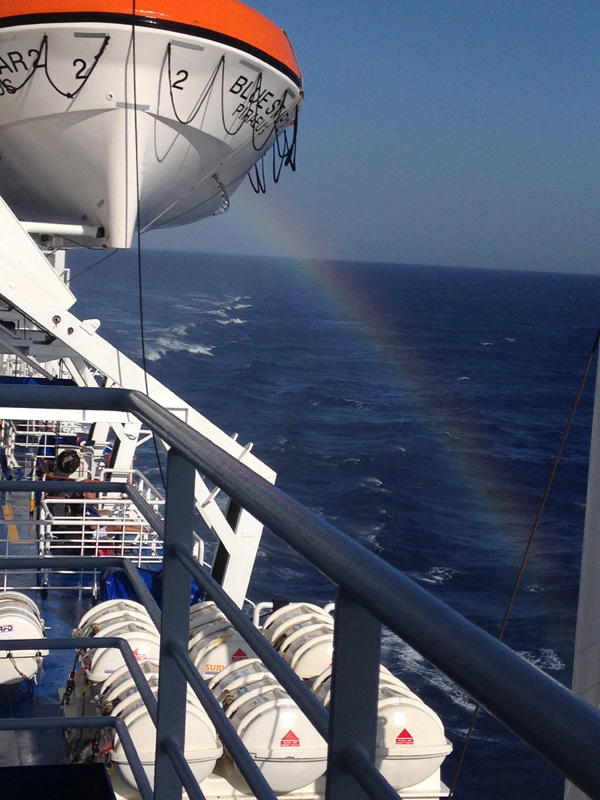 Rainbow on the Blue Ferry, on the way home.